Vinales Valley in Cuba was designated a UNESCO World Heritage Site in 1999. Geological Society of America: The Geological Society’s (GSA) annual meeting in Denver, 2016, hosted a special session on the Geologic Evolution of Cuba. A link to session abstracts is: GSA Geologic Evolution of Cuba. The GSA Today October 2016 issue also highlighted Cuba Geology with the article “The geology of Cuba: A brief overview and synthesis” authored by Manuel Iturralde-Vinet and others. Earth Magazine: Travels in Geology: Journeying Through Cuba’s Geology and Culture. Living near Yellowstone National Park has its advantages – and the best of these is being easily able to go on field trips to the Park area. 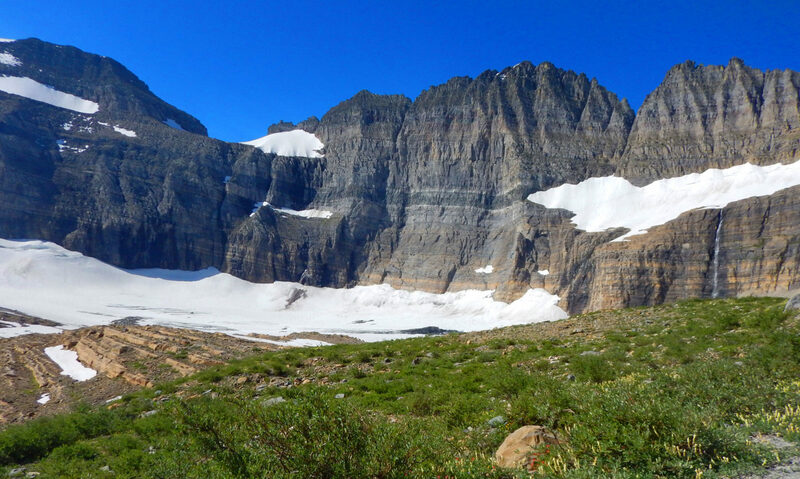 A field trip opportunity came up last week when the Rocky Mountain section of the Geological Society of America came to Bozeman, Montana, for its annual meeting. One of the meeting field trips was the “Glacial and Quaternary geology of the northern Yellowstone area, Montana and Wyoming”. The trip was led by Ken Pierce, Joe Licciardi, Teresa Krause, and Cathy Whitlock. Having spent much time in the Yellowstone area, I was ecstatic about going along to find out about recent geological work. I won’t elaborate on the specifics of the trip, but for those interested in more than the photos posted below, the field trip guide is available in The Geological Society of America Field Guide 37, 2014, p. 189-203. It’s worth a read! Chico moraine boulders have an average cosmogenic age of 16.1 +- 1.7 10BE ka. A succession of outwash terraces border the melt-water channel which is now the Chico Hot Springs road. Giant ripples occur on a mid-channel bar a few miles north of Gardiner, Montana. Cosmogenic ages on the flood deposit boulders of the giant ripples average 13.4 +- 1.2 10Be ka. The Blacktail Plateau is capped by moraines of Deckard Flats age – 14.2 +- 10Be ka. The ice-marginal channel that Phantom Lake lies in was cut into volcanic bedrock during the Pinedale glacial recession. The lake is dammed on its down-stream end by a post-glacial age alluvial fan. The Junction Butte moraines have an age date of 15.2 +-1.3 10Be ka. Large boulders of Precambrian crystalline rocks and several ponds typify the morainal surface.